weekend, and we are hearing about it on Thursday. Those $cientists must be embarrassed and were trying to cover up, but an insider was going to blow the whistle, so they released the information. Some close calls are enough to keep you awake at night, especially if they concern huge chunks of flaming rock smashing into the planet. Astronomers marked one such close shave at the weekend after an asteroid larger than a Blue Whale whizzed between the Earth and the moon – a hair’s breadth in astronomical terms. 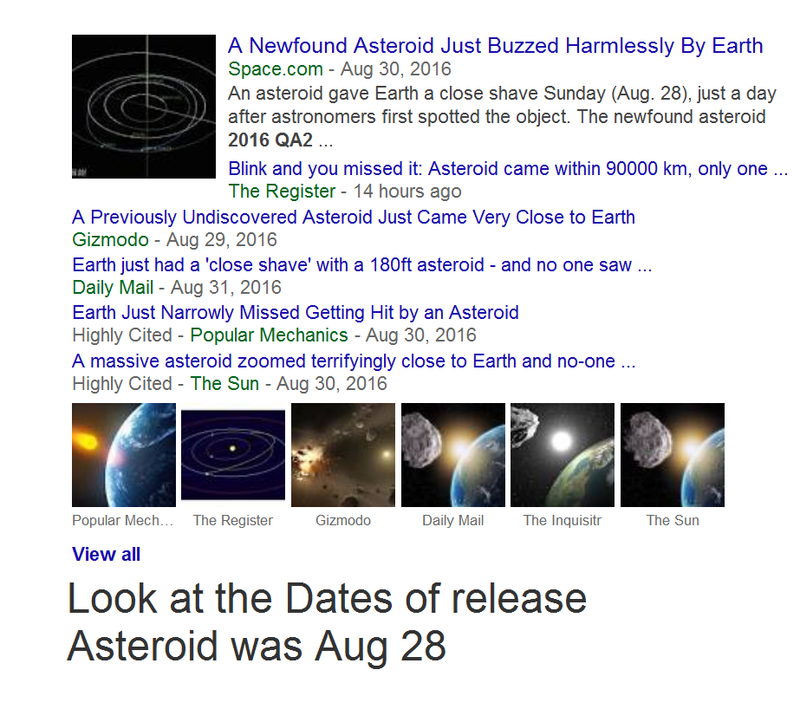 Brazilian sky watchers had only just discovered the asteroid, called 2016 QA2, the day before it zoomed by within 50,000 miles (80,000 km) of Earth. An object the size of 2016 QA2 – as named by the Minor Planet Center – would certainly do significant damage at the local scale, it wouldn’t be enough to wipe out civilization.